Every night for as long as I can remember, (and I can remember a long, long time back!) I have prayed the Lord’s Prayer before going to sleep. It used to come in a long litany of prayers starting with, “Now I lay me down to sleep…” and ending with “Glory be to the Father, and to the Son and to the Holy Ghost…” And in the middle of all of those prayers came my own personal petitions of, “God bless this and God bless that. God protect him and her…” through multiple verses and choruses until I had named every family member, every cousin, aunt, uncle, friend… It was usually a very long time before I could actually fall asleep. But the Lord’s Prayer, the “Our Father” as I called it, was the main point for me. The words of that prayer have brought me comfort in sorrow. They taught me a new way to pray one night, as if I really meant it. The night Jana and Susan were hit by that train 31 years ago, I finally listened to my heart as I said the words, “Thy will be done.” Did I really mean that? And it forced me to come to God in total humility as I prayed for his will to be done in the lives of my two sisters. I didn’t pray for their survival or a perfect recovery or that they would be without pain. I prayed that “thy will be done” and for me to accept that, even if they didn’t survive. That was one of the biggest lessons in my life. The words of that prayer have joined me in community. I have prayed it in English while others around me were praying in Spanish, Italian, Czech, German and Arabic. I have been in the midst of the body of Christ all over this globe and been amazed at the wonder of its poetic meter. No matter what language the body was praying in, we always ended our phrases at the same point. Miraculous? Maybe. Purposeful creation? I’m pretty sure! I close my eyes and I’m there. Hauntingly beautiful, isn’t it? 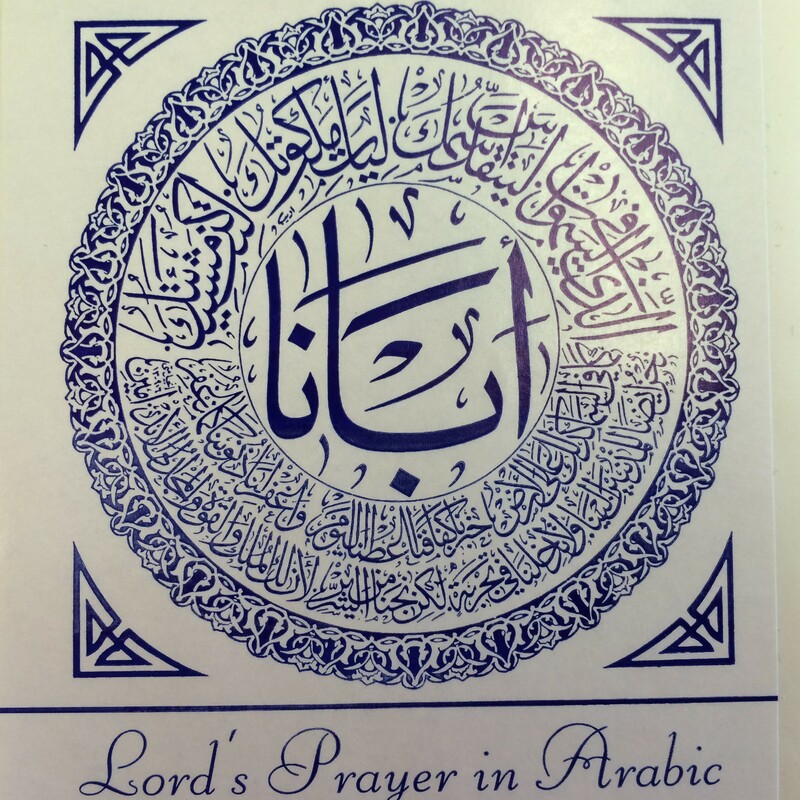 But it was in Iraq this past March that someone else gave me an even more wonderful picture of this prayer, and so I would just close my post today with the blog I wrote that day in Basrah as we were preparing to leave our family there once more. We have come through our last full day in Basrah with an ending culminating in the centuries old tradition of baking naan, the Arabic flatbread served with schwarma. Bread. It is served at every meal. Daily. And it was the focus of Meryl’s devotion this evening. The Lord’s Prayer, found in Matthew 6:9-18: so familiar! Say it with us now, Give us this day our daily bread. Meryl led us through several translations of this line from the familiar one above from the Greek to the one they use here in Arabic: Give us our bread sufficient for the day. It’s interesting how the focus changes from one of time to one of amount; the difference between a western understanding and an eastern understanding. And when the Greek is translated backward to Syriac, so close to the Aramaic which was the language of Jesus, it comes out this way: Give us today the bread that doesn’t run out. It’s the promise of sustaining life. It’s a prayer to deliver us from fear. It’s the vision of the great banquet with Messiah. It’s communion. From our visit with the Chaldean church earlier this week, to our visit with the dear Armenian Orthodox Abuna (Father) Turkum today, to every moment with the Basrah Evangelical Church, it has been a time of holy communion. The benediction for today came at the end of our schwarma – our communion – this night. We shared words of gratefulness, words of love – the words that families share when they don’t know the next time they will gather. Hugs all around! Kisses galore! One more backward glance at sweet new babies, playing children, nodding elders. 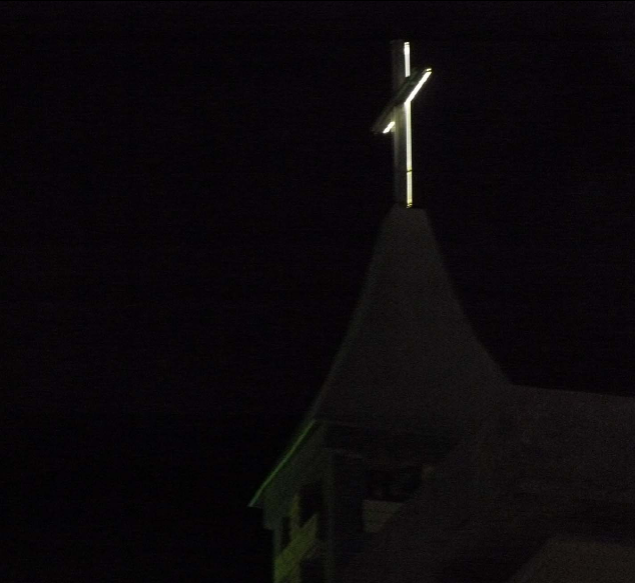 And as we left this place with gifts in hand and hearts full of pictures and stories, we walked one more time under the light of the cross at the top of the church. May it shine in this place for generations to come. I love this way of thinking of our daily bread: “Give us today the bread that doesn’t run out.” wow.